Donna Kimura, deputy editor of Affordable Housing Finance magazine, presents efforts from Portland, Oregon to Washington, D.C. to preserve naturally occurring affordable housing (NOAH). She includes a feature on GMHF’s NOAH Impact Fund. 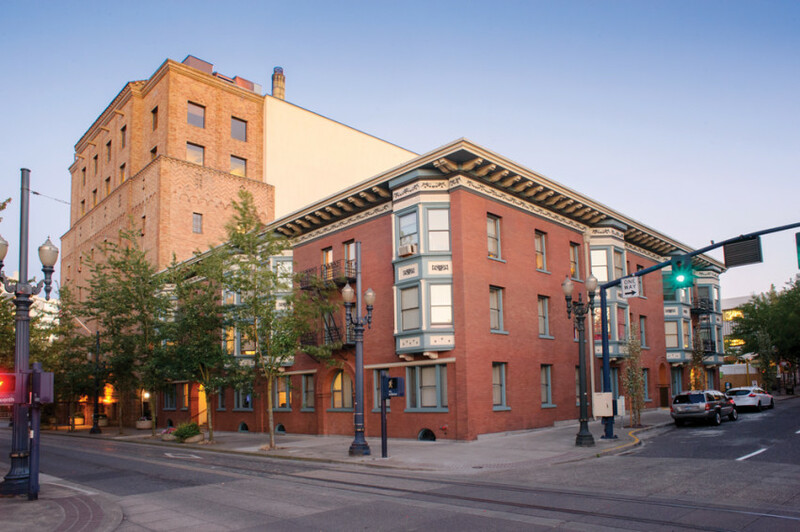 The Bronaugh Apartments is one of the oldest rental housing developments in Portland, Ore. It may also be one of the most important, providing vulnerable seniors and disabled individuals with a safe and affordable place to live. Like many other older affordable housing properties across the nation, the 50-unit community was in danger of losing its affordability. The Bronaugh’s federal rental-assistance contract was due to expire in 2012, and the property was on the market as nonrestricted housing. That meant the residents were in danger of being displaced. The Minneapolis–St. Paul area is taking a stand to stem the loss of affordable housing. In an initiative that’s the first of its kind in the region, officials have launched a fund that seeks to preserve 2,000 unsubsidized affordable rental homes in the Twin Cities. The Naturally Occurring Affordable Housing (NOAH) Impact Fund hopes to begin acquiring properties by the end of the year. It recently took a big step forward when Hennepin County (the seat of which is Minneapolis) agreed to invest $3 million in the fund, which seeks to raise $50 million in two phases. Like many other communities, Hennepin County is seeing its affordable housing stock disappear as buildings are converted to market-rate housing. Officials estimate that the county has lost at least 1,300 affordable homes so far this year. family rental housing, with rents affordable to households with incomes at or below 60% of the area median income, which is $51,480 for a family of four. Created by the Greater Minnesota Housing Fund (GMHF), the NOAH Impact Fund will target at-risk naturally occurring affordable housing composed of Class B and C rental apartments typically built between the 1950s and 1980s. “The goal will be to keep the properties affordable for 15 to 20 years to preserve the affordability and avoid the displacement of tenants in a hot market,” says Warren Hanson, GMHF president and CEO. The first phase of the program seeks to preserve 1,000 units with $25 million from the fund. If that is successful, officials would do a similar second phase. The county’s funds join $1 million from The McKnight Foundation and $2.25 million from GMHF. The NOAH fund will work with high-performing, nonprofit affordable housing developers and socially motivated, for-profit owner–operators. These organizations will be required to put up 10% of the equity, and the fund will put up 90% of the equity. That will make up roughly 30% of the overall financing needed for the properties, according to Hanson. The other 70% will then come from conventional lenders. The fund will operate in a seven-county area of the Twin Cities. Read the full magazine story.